Leafminer in Boxwoods | Fairway Green Inc. Whether you’re a do it yourselfer or have a landscaper do the work, a well-maintained landscape can improve your property’s value and add curb appeal. Unfortunately, there are many external factors that can impact the overall health of your plants and turn your beautiful landscape into an eyesore. In this blog we are going to focus on an insect that likes to feed on a very popular landscape plant. Boxwood leafminers are insects that feed between the upper and lower leaf layers of the plant. 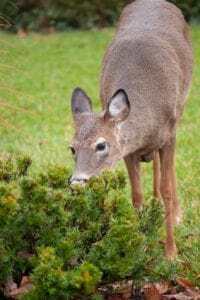 They are commonly found on boxwoods, which are popular plants in our area because they are marketed as being deer resistant (more on this in a later blog). Although deer may not find boxwoods all that appetizing, leafminer larvae sure do, and they can cause serious long-term damage if left untreated. How do Leafminers damage boxwoods? Boxwood leafminer adults lay eggs inside the leaf tissue during the spring. The eggs can hatch into larvae in as little as two weeks. Most of the damage to the foliage is caused by the larval stage as they feed in between the upper and lower leaf layers. The larvae leave serpentine trails as they continue to tunnel through the leaves and feed on tissue. These mines can look snake-like and widen as the insect grows. If you have boxwoods in your landscape and start to notice blisters or irregularly shaped blotches on the leaves, there’s a good chance you have leafminers. The leaves will turn yellow and appear to be smaller in size. 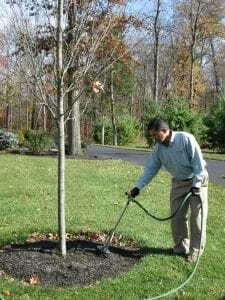 With a heavy infestation, the leaves will have a completely unhealthy appearance and may prematurely drop as a result. In the summer, you can rip open the blistered leaves and often times find the larvae or rass left behind. Boxwood leafminers over winter as a larva inside the mines on a leaf. When the temperatures warm up the following spring, the larvae become active again and eventually molt into a pupa. In April or May, depending on the weather, they emerge as an orange-red colored adult fly. The adult females live for about a 24-hour period, they mate and then pierce the underside of the leaf and insert her eggs. Then the cycle repeats for the next generation of leafminer larvae. 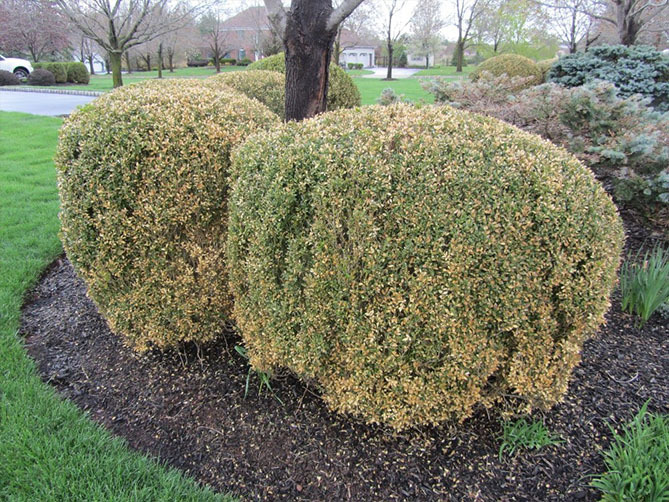 There’s no way to reverse the foliage damage that leafminers cause to boxwoods. The focus should be on protecting new foliage that the plant will produce. To help reduce boxwood leafminers, there are a few cultural controls you can try. When planting boxwoods in your landscape, select resistant varieties for your property, this will be helpful to fight against leafminer populations. We also recommend the application of fertilizer and soil conditioner to help maintain healthy plant vigor. Another way to help is to prune back the boxwood plant before the adults emerge or right after egg laying. Pesticides are commonly used to control boxwood leafminer populations. Insect control sprays must be timed perfectly for when the adults have emerged and are laying eggs. This is difficult because the emergence of adults is weather dependent and there is also a very small window of time to apply the product. The best treatment is a systemic soil injection that can be done in the spring. This would control any of the leafminer insects that are present inside the leaves and then give season long control of the boxwood plants. The product lasts one year and would need to be applied annually for continual control. If you previously had boxwood leafminer damage and get a systemic soil injection, it’s important to touch on pruning. With the soil injection, you are protecting the new growth of the plant, the old damaged leaves will remain unsightly until they eventually fall off. When pruning, pay close attention and avoid cutting off the majority of the new growth, otherwise you’ll be left with all of the damaged and unsightly foliage exposed on the outside again. If possible, wait until the following year before pruning again so you have plenty of new, healthy looking foliage left over. Boxwood plants are common in New Jersey and protecting them from leafminers can be a difficult task, even with all the available options. If you live in our service area and think you have problems with boxwood leafminer in your plants, feel free to give us a call at 908-281-7888 for a free estimate.